Microsoft Points "Never Intended to Mislead People"
An Xbox executive admitted that paying for games on Xbox Live may include real world currencies in the future instead of the often meaningless Microsoft Points. 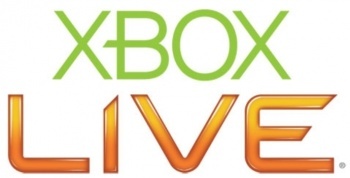 How many times have you wanted to purchase something on Xbox Live and wanted to just know how much it really going to set you back? I mean, what the hell is a Microsoft Point anyway? The obfuscation has led to any announcement of new games or items on the service immediately converting the Microsoft Point figure into a understandable currency. "Now available on Xbox Live for 800 Microsoft Points, or US $10." Back in June, Microsoft let up by allowing consumers to download games from it's Games On Demand service by using real world currencies. Aaron Greenberg, Xbox group product manager, said that Microsoft is working on introducing this to all of Xbox Live and that the Points were never meant to mislead people. "I think people like to see the dollar amount. We never intended [Microsoft Points] to ever mislead people," he said. "I think we want to be transparent about it, and so it is something that we're looking at. You have to do that for every product in very country and you then have to deal with currency fluctuations. So there's some challenges to that, but we absolutely did it with the Games On Demand, response has been good and absolutely it's something we're looking at doing. The fact is that you've got to think that we have one service that we're offering around the world. The nice thing about points is that no matter if you're on the yen or the euro or the dollar -- something that's 200 points is 200 points everywhere around the world.